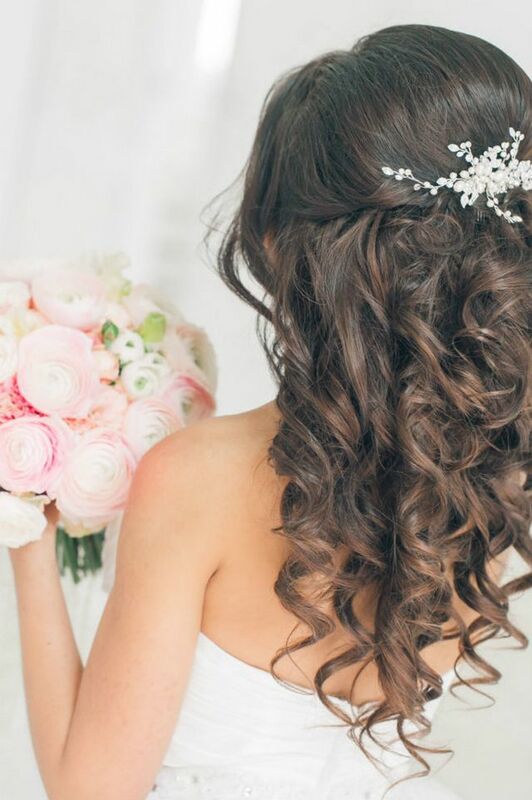 Long hair — this wealth of the bride. 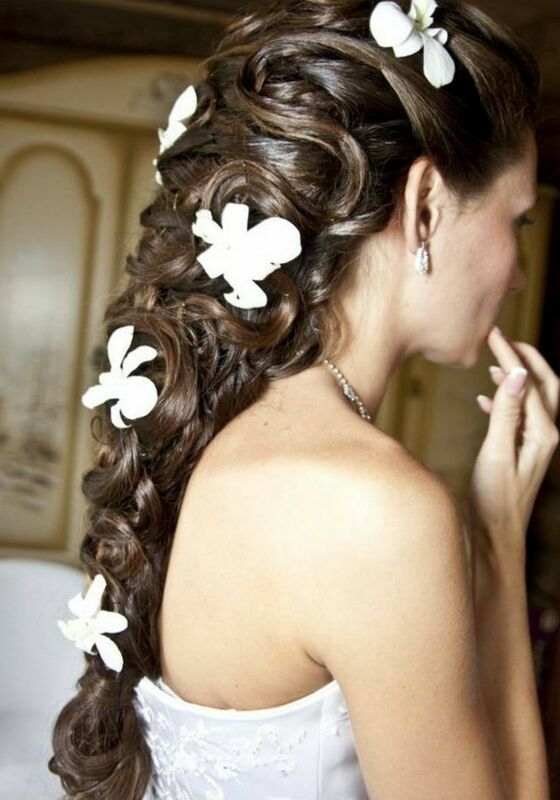 Often owners of average length of hair, to a wedding try to grow them and quite often use laid on locks, chignons. 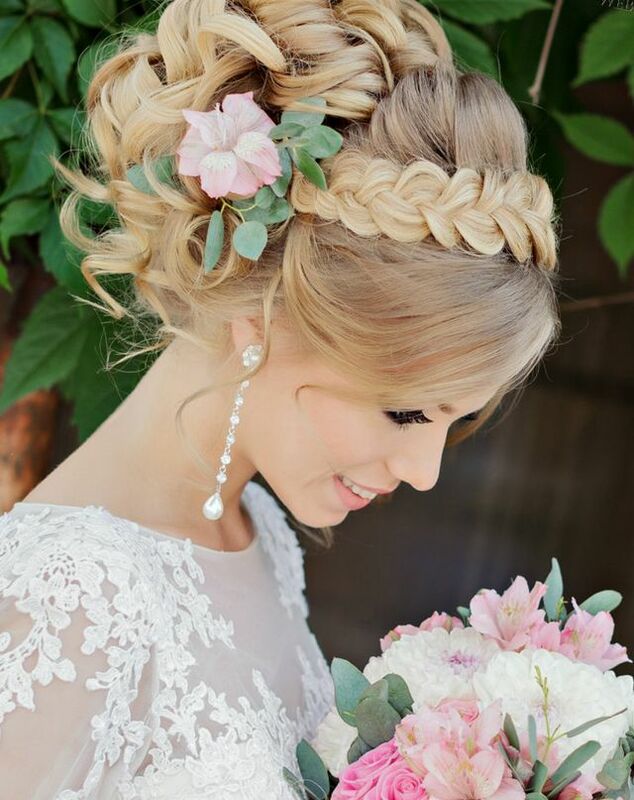 Undoubtedly, on such hair it is possible to make a huge number of wedding hairdresses for every taste. 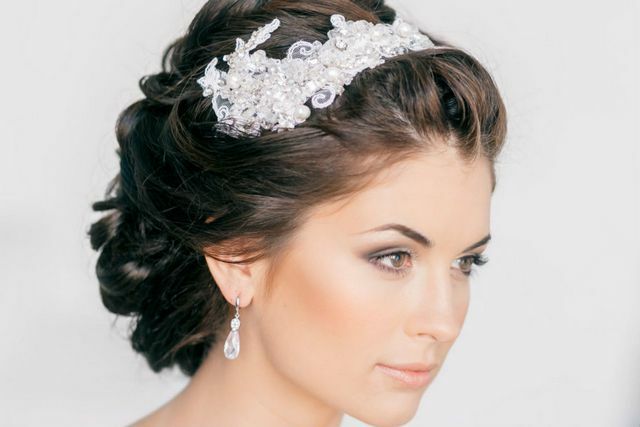 Read more about wedding hairstyles with veil and tiara. 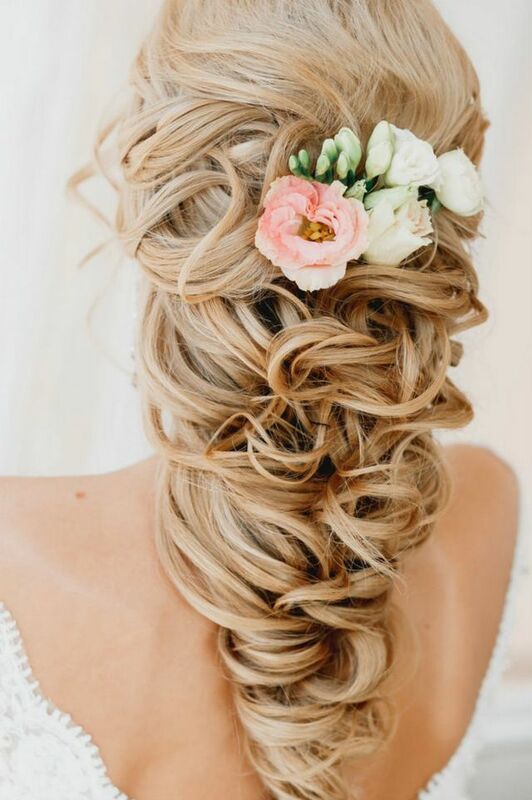 What wedding hairstyles for long hair are most actual in this season? Flowing hair. The dismissed ringlets — it is beautiful. The main thing that the hairdress well kept, is desirable to give it volume. If you have quite heavy hair, in advance pick up the means of fixing suitable for you, differently at the end of evening ringlets can develop. 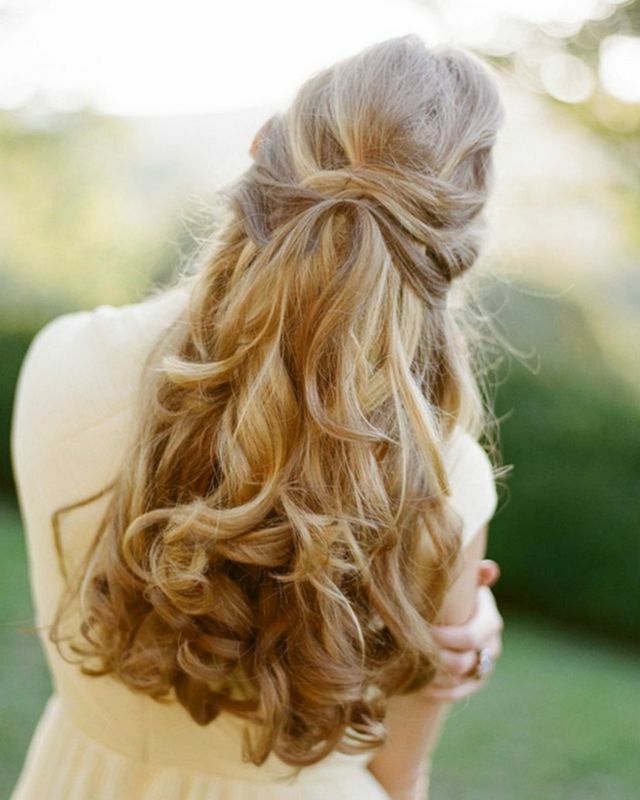 Perfectly ringlets with a pile on all length or on the top look. 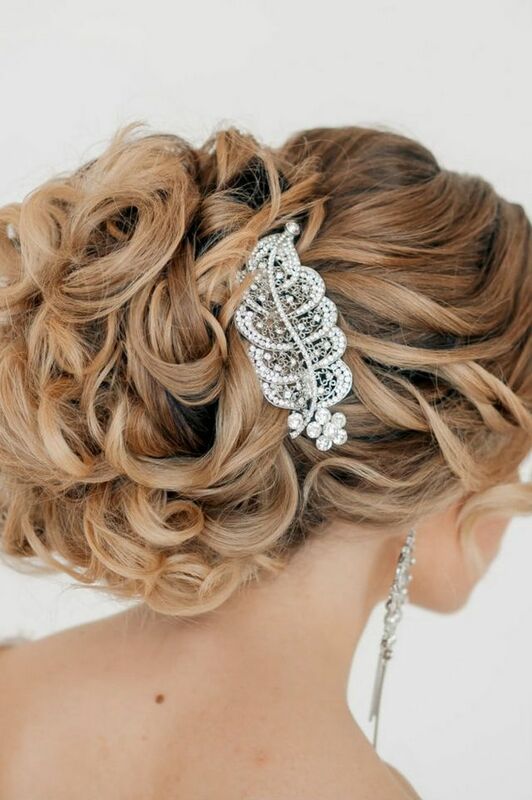 It is possible to decorate such hairdress with a tiara. Rims, tapes will perfectly look. Try as an accessory a tape with artificial pearls, with pastes, the tape imitating a necklace. It is possible to add an image with a beautiful accessory, for example, a silk flower. It can be a rose, or, for example, an orchid, a camomile. 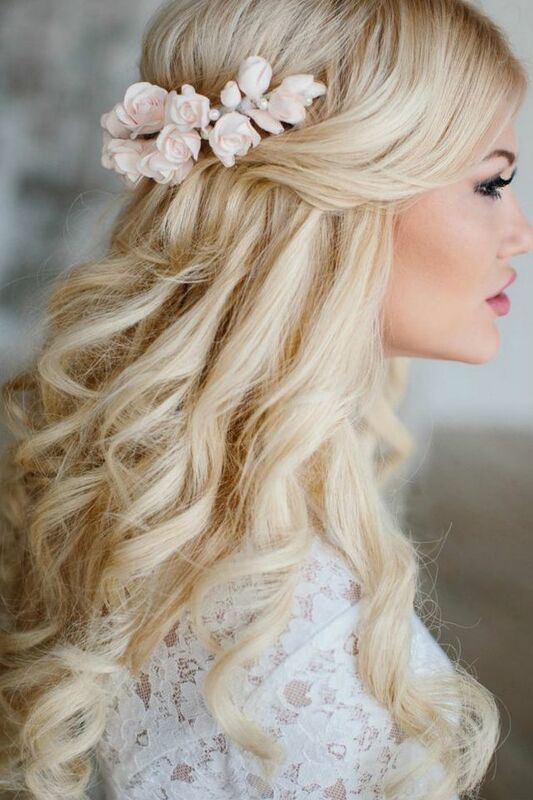 It is possible to use hairpins for decoration of a hairdress. Very interestingly hairpins with pastes, with feathers, the hairpins imitating a branch of an Oriental cherry or other plant look. Everything depends on what image you want to receive as a result. The hair which are partially collected on the top. Quite popularly to supplement the beautiful hair with separate elements. Having collected hair on the top and having fastened them behind with an interesting hairpin, you receive a fine image. It is, also, possible to add an image with weaving of braids or plaits. If you make some such pleteniye and connect them on a nape, at you the wonderful hairdress will turn out. It is possible to make also an interesting hairdress of partially collected hair. Ringlets can be laid an interesting pattern, for example, to put from them a flower. Supplement a hairdress, usually with pastes or small florets on flypapers. It is possible to make curls which are fixed and beautifully keep within on the top. The flowing hair set on one side. Hair collect on one side and fix hairpins. It is possible to decorate a hairdress with an interesting crest which will divide two parts of a hairdress. Hair comb and twist. 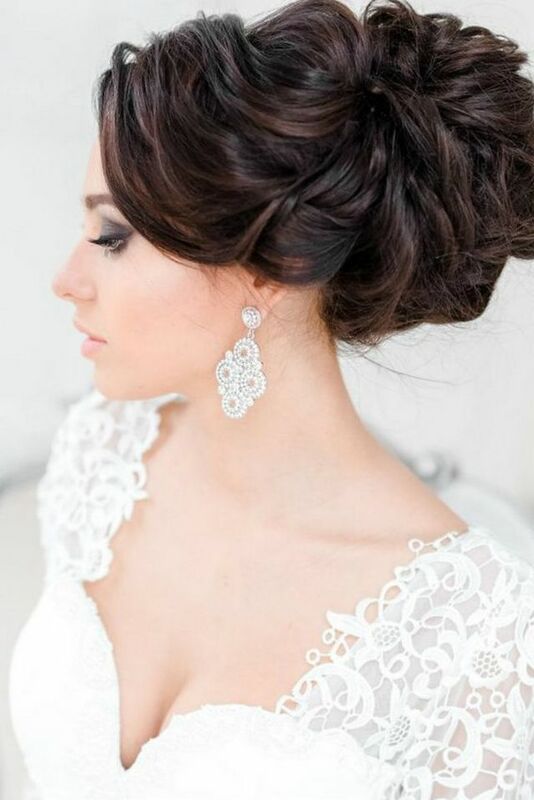 This hairdress looks really stylishly, romantically and beautifully. Hairstyles with braids. The braid can be part of a hairdress. 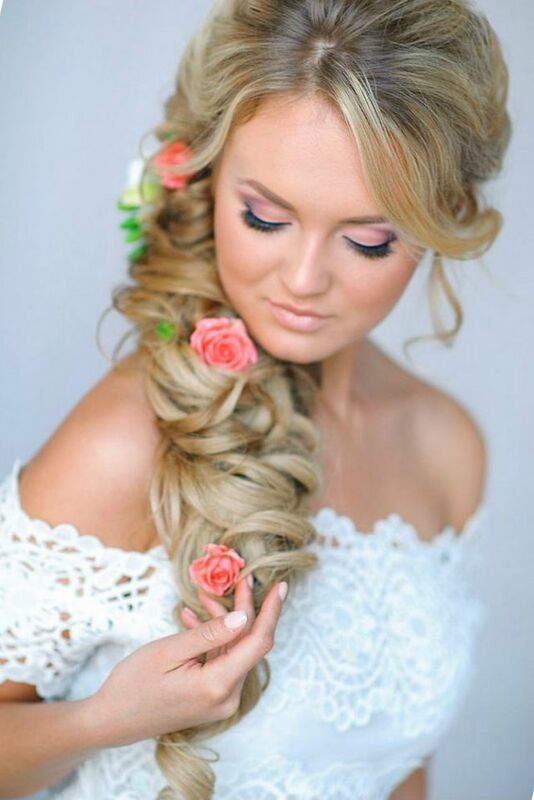 For example, a flowing hair will wonderfully look if you decorate them with a small braid. Perhaps, you will like a hairdress in which on the top do interesting laying, for example, add curls. Let hair down spin a volume braid. Very romantically and elegantly the braid basket in the Greek style looks. It doesn’t need to be spun hardly, the hairdress has to be free, easy. About the person it is desirable to let out two ringlets which will frame a face of the bride, to give her special charm. 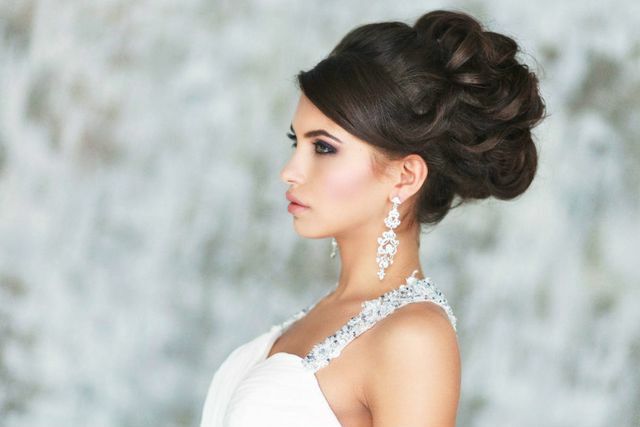 Perhaps, you will like a high updo which is framed with a braid. Such hairdresses are quite popular today. Even the usual bunch will look unusually if to decorate it with weaving. 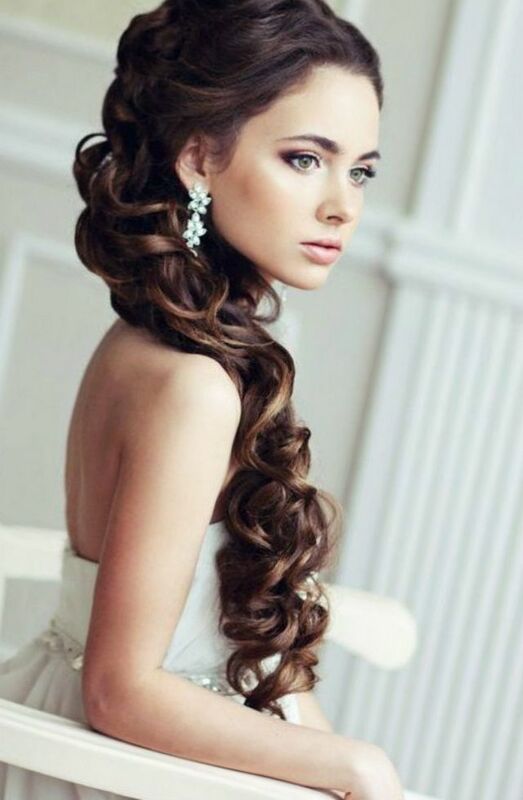 Very interestingly looks a hairdress with a small plait which is done on the center, and on each side small locks are added to it, the effect of a network on hair is gained. Such hairdress can be carried out and as daily option. Having decorated it with pastes, flowers, beads, tapes, you will create interesting an image. Hairstyles with a tail. 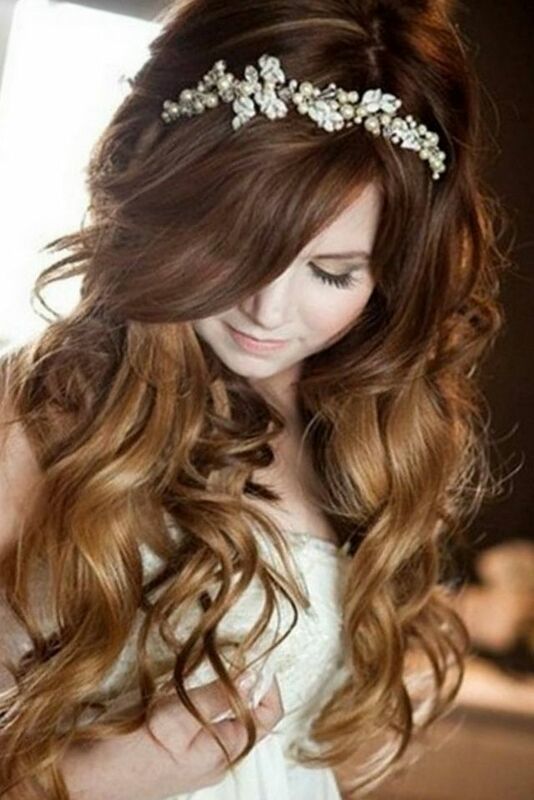 It will be beautiful to look such hairdress if you have long thick hair, length to a belt or below. Tie a tail on one side. It is possible to set smooth hair in a tail, to twist only a tail. And it is possible to make a magnificent updo with a pile. Such will look very stylishly and fashionably. Hair are shaken up on all length and keep within a tail, the beating-out locks perfectly look. It is possible to wrap up a tail a lock of own hair. 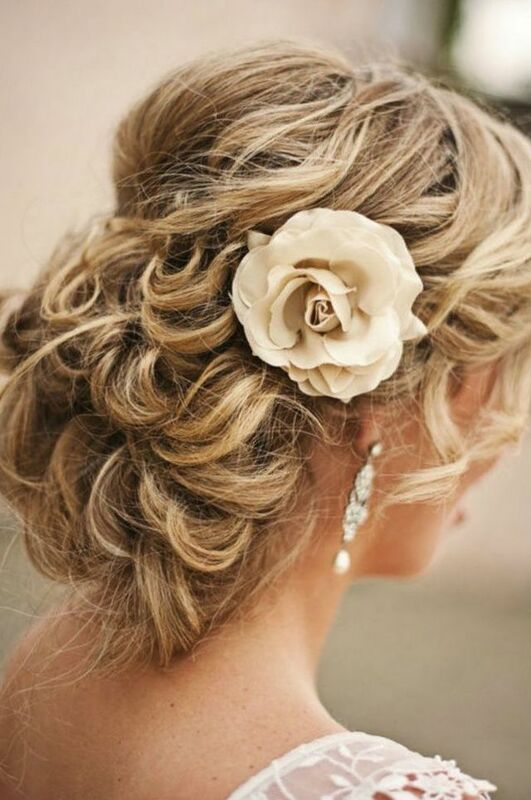 Add a hairdress with an interesting hairpin with a white flower or pearls. The tail with the locks combed on the top and decorated with a diadem or a tiara, looks wonderfully. It is possible to call such hairstyle a babette with a tail. High hairstyles. 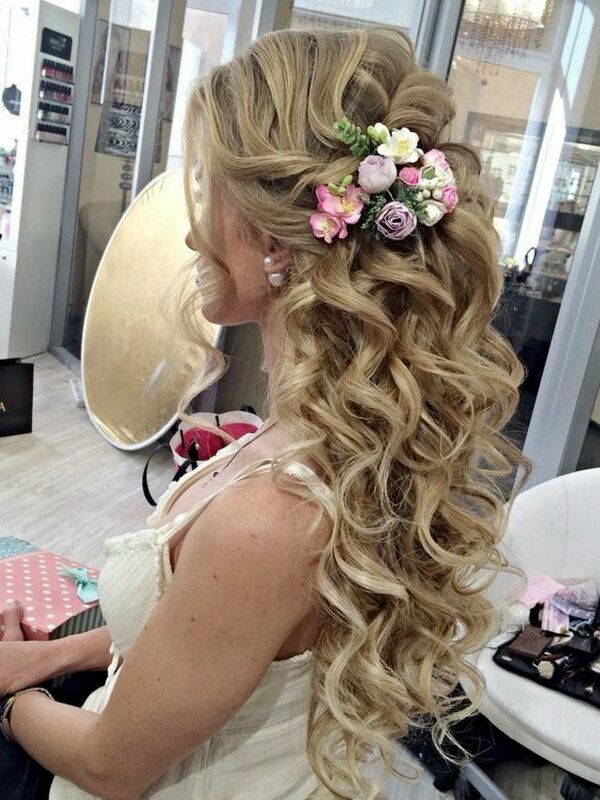 High hairdresses can be carried out from interestingly laid curls, it can be hairdresses in the form of patterns, flowers. Carry elegant hairdresses to high hairdresses a babette, a cockleshell. 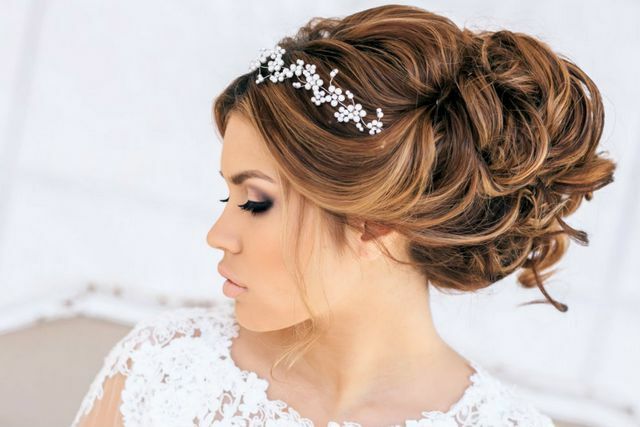 Many brides choose such updos, after all they help them to emphasize their beauty, a beautiful face, the beautiful line of a neck. An interesting high hairdress is the bow which is done of hair. However it not obligatory a high hairstyle, it is possible to make a bow behind, even a bow on a nape. Such hairdress will suit naughty and young brides more. 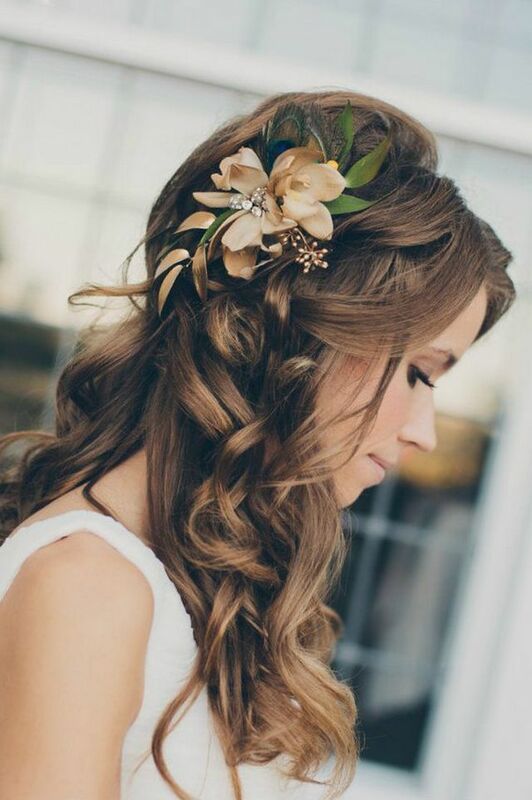 Than it is possible to decorate a wedding hairstyle for long hair? 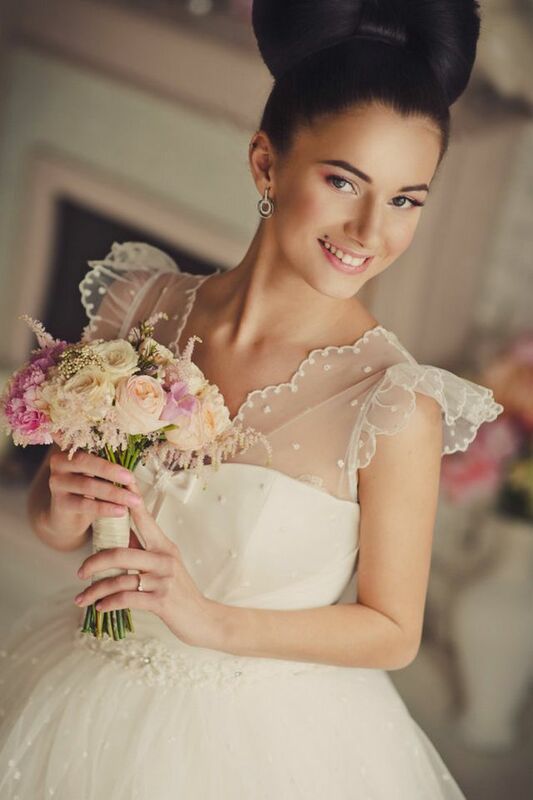 For decoration of hairdresses choose a suitable veil, a tiara, it was already told about flowers from silk with which popularly now to supplement a hairdress, choose interesting hairpins and hairpins. 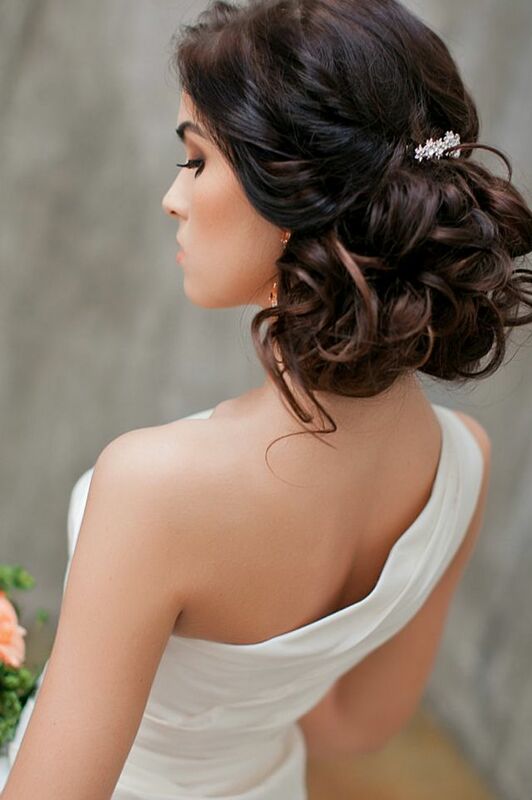 The main rule – all accessories for hair have to be combined with a dress perfectly. If in finishing of a dress the pearls are used, give preference to pearl hairpins. The dress with pastes will be added by the sparkling diadem, a satin short dress – a hat with a veil. Such classical accessory as a veil will be suitable for a long classical dress with a magnificent skirt. 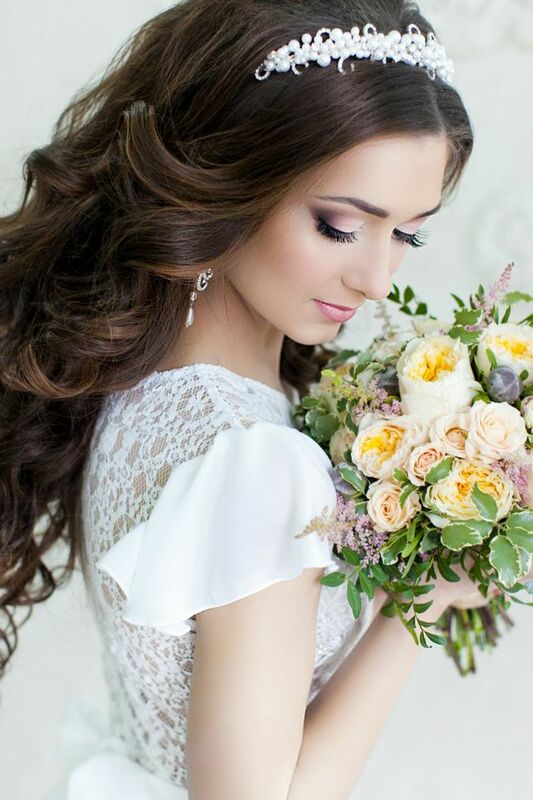 For a summer wedding flowers in a hairdress will become the best ornament. 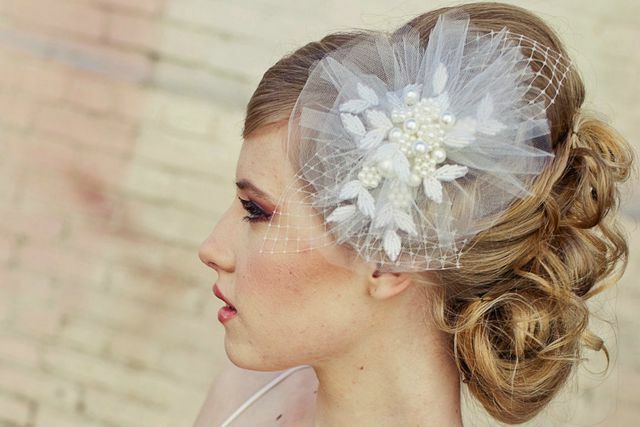 It is quite difficult to make a wedding hairstyles for long hair, but all of them look really as a work of art.